Elementor has reached the milestone of over a Million Active Installations. This tells us how customer preference is changing over time. Using Page Builders becomes a habit of most WordPress users. Thanks to Elementor, the leading WordPress Page Builder. Now people can build their website all by themselves without writing a single line of code. Bloggers can now directly participate in both the writing and designing process. As Elementor rose in popularity, a significant number of add-ons came to the scenario to extend the core functionality of Elementor. To help you to get the right add-on, I am going to share a list of 10+ Best Addons for Elementor. With a whopping 100,000+ active users, Essential Addons for Elementor is the most popular Elementor plugin at WordPress.org. It offers the highest number of 55+ elements which are divided into six specific groups. The Content Module: It lets you build excellent content by using elements like Info Box, Creative Buttons, ToolTip, Content Toggle, etc. The Dynamic Content Bundle: It allows you to show post, data table, gallery, product, and content dynamically. The Marketing Bundle: It includes conversion optimized pricing tables, call to action boxes, and price menu. The Create Bundle: It includes elements such as Image Comparison, Countdown, Divider, Lightbox & Module, etc. The Form Styler Bundle: These elements allow you to connect powerful email marketing tools and form builder plugins. The Social Bundle: It includes social elements like Facebook feed, Twitter feed, etc. With the Modular feature, you can enable and disable individual elements to make your page load faster and smoother. You can deactivate unnecessary widgets to keep the site lite. The free version contains 29+ widgets. And they are adding widgets frequently. The pro version with 28+ more elements starts at $29.97 for a single-site license. Ultimate Addons for Elementor is a premium plugin which is created by the team at Brainstorm Force, the same folks who created Ultimate Addons for Beaver Builder, Ultimate Addons for Gutenberg, Astra theme, etc. It only offers 24 Elementor widgets. Some of the popular widgets are Business Hours, Content Toggle, Gravity Form Styler, Modal Popup, Timeline, Video, Table, etc. It also offers some widgets for WooCommerce. The great thing about UAE is, it offers 50+ ready-made starter sites that include templates for blog, business, charity, coach, eCommerce, personal, portfolio, shop, and many more. There is no free version. The premium plan starts a bit pricey at $69 for unlimited websites (Without ready-made templates). The Agency Bundle is something you can consider buying if you need other products like Astra Pro, WP Portfolio Plugin, Convert Pro, Schema Pro, etc. By the numbers, Premium Addons for Elementor is the second most popular Elementor plugin at WordPress.org. It offers 20+ widgets in the free version and more 30+ widgets in the premium version. The free Elementor widgets include Media Grid, Pricing Table, Carousel, Modal Box, Fancy Text, Video Box, Count Down, Button, Progress Bar, Testimonials, Google Maps, etc. And the PRO widgets include Icon Box, 3D Flipbox, Tables, Tabs, Content Switch, Image Comparison, Alert Box, Google & Facebook Reviews, Messenger Chat, Particles, Social Feed, and more. The free version contains a good number of add-on widgets. And the Pro version with more widgets starts at $39 for a single site. PowerPack is another premium addons plugin for Elementor created by WordPress Experts at IdeaBox. It has 40+ elements in three widget categories. Form Styler Widgets: These widgets let you design Gravity Forms, Caldera Forms, Ninja Forms, Contact Form 7, and WP Forms. Creative Widgets: It includes creative widgets like Countdown Timer, Popup Box, Table, Team & Logo Carousel, Promo Box, Image Gallery, and many more. Content Widgets: It lets you add Advance Menu, Recipe, Content Toggle, Google, Maps, Tabs, etc. The PowerPack concentrates more on creating unique and creative widgets rather than adding more widgets. It has both free and premium version. 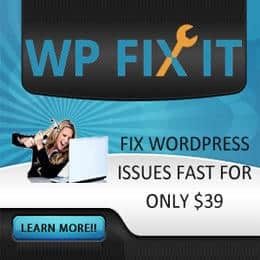 The premium plugin starts at $59 for unlimited sites. As the name suggests, it offers both widgets and templates for Elementor. This freemium plugin created by the team at Themeisle. It includes a handful number of WooCommerce widgets like Product Categories, Recent Products, Best Selling Products, Featured Products, Popular Products. etc. Other widgets include Flip Card, Review Box, Social Sharing, and Typed Text Widget. It also offers beautifully designed templates which can be imported in one click. It focuses on WooCommerce mainly. The basic version is free which has over 60,000 active installations. The premium version starts at $39 for one domain. By numbers, Element Pack has the highest number of widgets (100+) for Elementor. Some of the widgets are Carousel, FAQ, Table of Content, Accordion, Modal, Slideshow, Cookie Consent, Member, User Login, Weather, Easy Digital Downloads Purchase History, TablePress, Woocoomerce, Sticky section, and many more. It has a good number of ready-made templates. And it supports almost every popular WordPress themes. It also supports 3rd partly plugins like WooCoomerce, The Event Calendar, Gravity Forms, EDD, TablePress, etc. This plugin is sold through Envato Market. This means you can fully trust the plugin. But you will have to pay $24 for unlimited updates and 6 months support. Elementor Extras is another premium plugin which has 30+ useful widgets and extensions. While other plugins focus on creating so many widgets, this plugin only offers top-notch elements. Some of the unique widgets are Age Gate, Calendar, OffCanvas, Inline SVG, Timeline, Circle Progress, Breadcrumbs, and Devices. It also offers some unique features like Display Conditions, Switcher, and Post Layouts. It offers only useful widgets and extentions. There is no free version. The price starts at around $30 for a single site. Crocoblock comes with a good collection of Elementor Premium Plugins. JetElements is one of them. It is equipped with enough widgets and ready-made blocks to help you with your design. It has 40+ easy-to-use widgets that include Advanced Carousel, Circle Progress, Map, Countdown Timer, Animated Box, Slider, Images Grid, Services, Button, Comparison, Audio Player, Dropbar, and more. All of the elements are beautifully designed. You can check the demo here. JetElements mostly focuses on beautiful designs. There is no free version. The premium version of the plugin for a single site is only $15, which is very low considering the features you are getting. Livemesh Addons comes with a nice collection of versatile elements. It contains 25+ elements in its bundle. But it doesn’t have any ready blocks. Almost all of its elements come with a dark version. Some of the free elements are Services, Portfolio Grid Addon, Team Profiles, Pie Charts, Testimonials, Client Lists, etc. And the premium version includes Tabs, Toggle, Image Slider, Video Gallery, etc. Some of the features offered in Livemesh Premium version can be found in other plugins for free. To get all the widgets, you have to pay $37 for a single site. WidgetKit for Elementor offers only a handful number of add-ons for Elementor. But all of them are designed beautifully and optimized for more conversions. It has addons like Slider, Call to Action, Blog, Testimonial, Image Box, Button, Countdown, Pricing, Social Share, Carousel, Text Animation, Modal, Team, Gallery, Portfolio, and News Feed. Some of the excellent features of this plugin are slider with animation, custom blog items, social share with animation, button with hover animation, title animation, hover image, etc. It’s comparatively a newer plugin in the market. But it’s free, and the average rating of the plugin is 5 out of 5. Elementor Addon Elements is another free plugin with over 50,000 active installations. It includes only 11 elements in its bundle. It also offers another plugin named “AnyWhere Elementor”. Some of the add-ons are Flip Box, Text Separator, Price Table, Post List, Animated Text, Split Text, Google Map, etc. Comparing to other plugins on the list, it has a very few numbers of elements. Here are some other plugins which are not add-on plugins but useful for Element. AnyWhere Elementor: It lets you insert Elementor Pages, Templates anywhere using shortcodes. Furthermore, any change you make to the core template will be updated across everywhere it has been used. Navmenu Addon for Elementor: This plugin lets you create Menus for your website using Elementor. You can also do Site Branding, Search Box, Mega Menu and Overlay Menu with this addon. However, Elementor itself includes a Nav Menu within its bundle, which lets you create Custom Menus for use across your website. Popbox for Elementor: It gives you the feature that other Add-ons give you through the various elements in their bundle. You can get the same functionality by using the Lightbox and Modal element from the Essential Addons bundle. Conclusion: Which Elementor Add-on Plugin Should You Choose? As usually there’s no one-size-fits-all recommendation here. The closest one we can recommend is Essential Addons for Elementor. It has the highest number of active installations. And it offers a good number of elements. But if you are looking for ready-made templates, then Ultimate Addons or Element Pack can be a better solution. And if you don’t need too many add-ons, you can try WidgetKit. It offers only useful elements. You can try JetElements if you are looking for a cheap premium solution. Now it’s your turn. Are you using any Addons that we have missed out or want to recommend from this list? Feel free to let us know in the comment section.